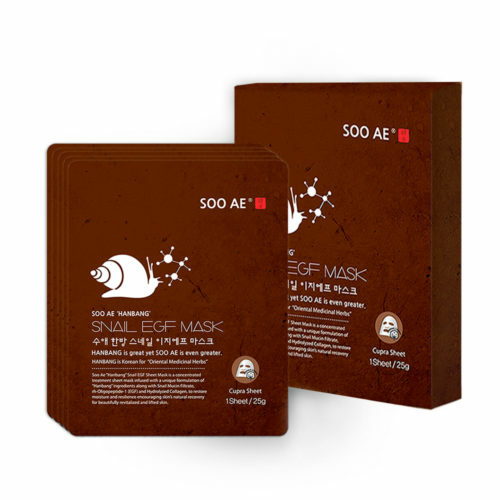 Han Bang Snail EGF Essence Mask - Pack of 5 - FROM K-BEAUTY TO GLOBAL LIFE STYLE:: Beauty on the Go! 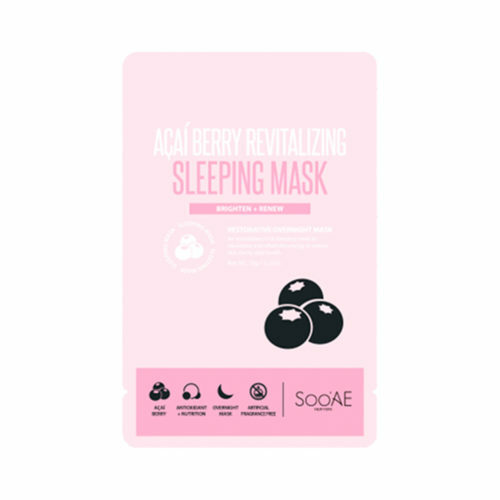 Soo Ae’s Han Bang Collagen Sheet Masks are formulated with a special blend of “Han bang” ingredients, scientifically developed with multiple herbs based on the old wisdom of traditional Korean herbal medicine which ensure synergistic efficacy and safety, that help improve skin conditions. 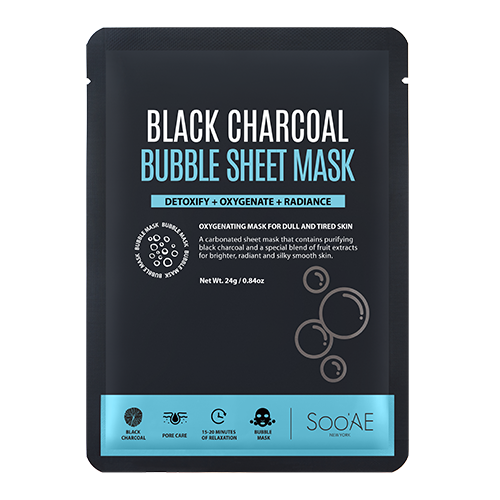 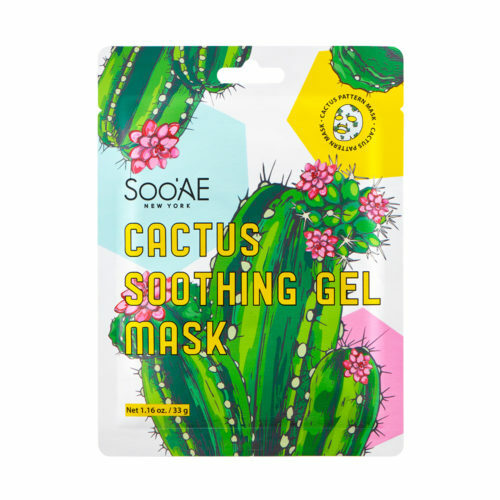 This Hanbang Snail EGF Sheet Mask from Soo’Ae promotes skin recovery by boosting elasticity and moisture levels. 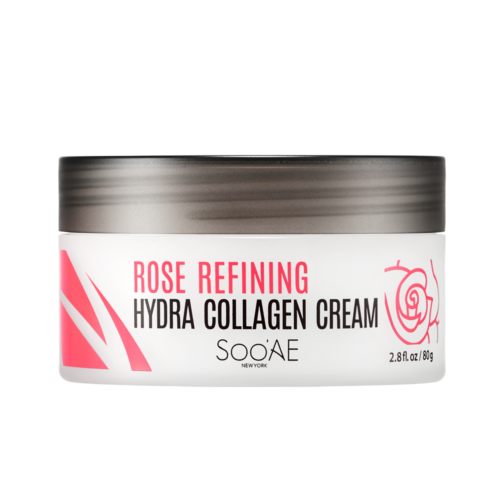 It’s specially formulated to replenish rough and dry skin that has been exposed to or damaged by harmful environmental stressors and natural aging. The special blend of ingredients are scientifically formulated with multiple herbs based on the old wisdom of traditional Korean herbal medicine to improve your skin’s overall health and appearance by repairing damage and restoring elasticity. 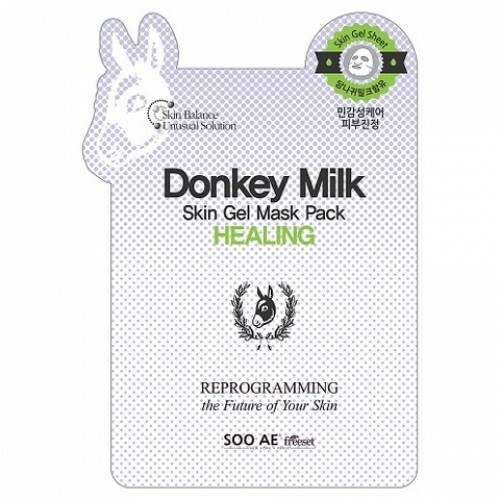 Simply apply this hanbang snail face mask to help restore the bright, youthful glow of your skin. 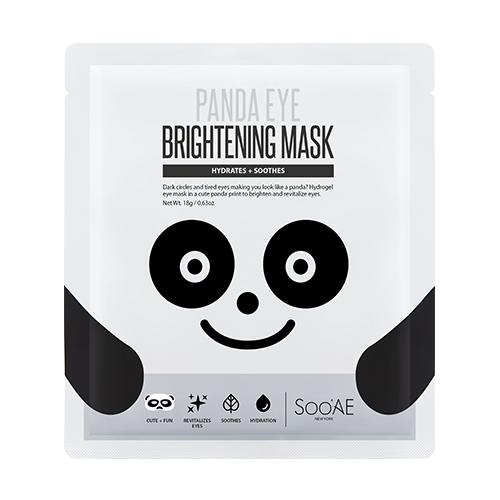 After cleansing skin and applying toner, place mask over the contours of the face aligning holes with the eyes and mouth. 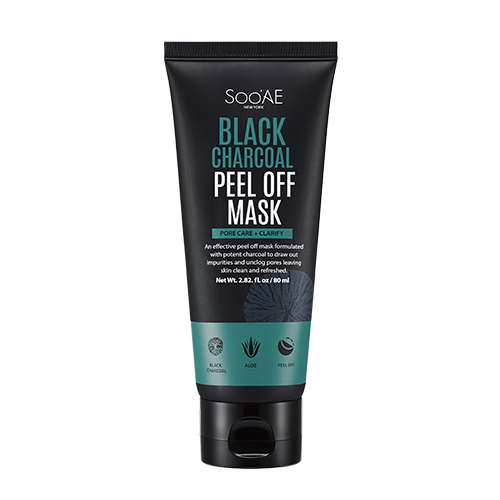 Smooth out air pockets with fingertips and leave on for 15 minutes. 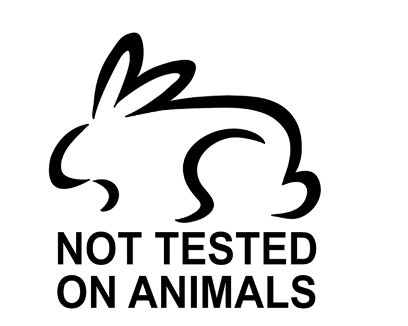 Gently remove. 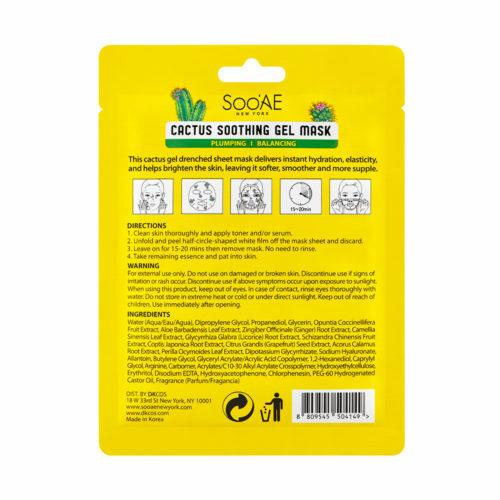 Take remaining essence in packet and massage gently into the skin using a patting motion.